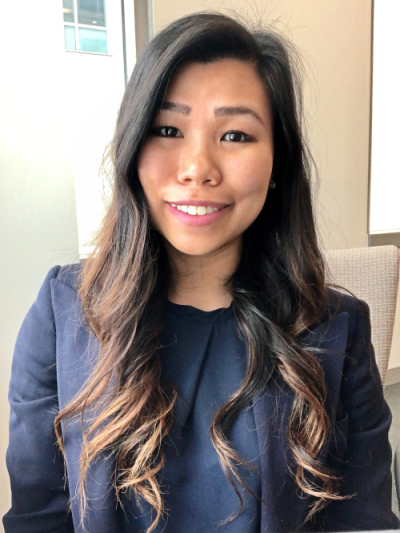 Grace Tran is completing her final year of studies in the English Juris Doctor program at the University of Ottawa. She joined Debs Law in February 2019 as a student intern. Grace is passionate about the law because she’s passionate about advocating for the marginalized. This past year, Grace competed in the Foreign Direct Investment International Arbitration moot court competition in Sweden. At the competition, Grace received the Best Advocate award after earning the highest individual score out of over 350 advocates. She considers her greatest strength to be active listening followed by active advocating. In her spare time, you’ll find Grace playing volleyball, the piano or with one of her friend’s four huskies. Grace has worked as a summer student for Nelligan O’Brien Payne LLP, a full-service law firm based in Ottawa. Grace handled her own client files and was responsible for drafting a variety of legal documents, including motions, affidavits and settlements. Grace has also completed two internships during the course of her law school career. The first was with Canada’s Department of Justice, where Grace worked in the War Crimes and Crimes Against Humanity Section. She then went on to complete an internship with the War Crimes Research Office in Washington, D.C. Both internships gave Grace experience researching issues from both a domestic and international standpoint. Grace is fluent in English and Vietnamese. She has conversational ability in French.